Choosing the Perfect Toothpaste for Your Kids Choosing the perfect toothpaste for your kids can be a challenging task. Which ingredients should you look for? What flavors or brands are best? What if your child has braces or sensitive gums? Fortunately, there are toothpastes designed to suit the dental care needs of everyone in the family, including your child, throughout every stage of his or her life. From all-natural and organic ingredients to formulations designed to address sensitive gums, there is a toothpaste ideally suited for your child. Review this list of top brands recommended by family dentistry experts to discover a toothpaste to fit your child’s needs and encourage healthy dental care for a lifetime. Colgate Children’s 2-in-1 Toothpaste. Colgate, a name you know and trust, offers a delightfully flavored toothpaste for the older children in your family. This two-in-one toothpaste comes in fun flavors like strawberry and watermelon and comes packed with a toothbrush. As a parent you can rest easy knowing this toothpaste is also approved by the American Dental Association (ADA). Tom’s of Maine, Natural Anti-Cavity Toothpaste for Children. Looking for something all natural that delivers a tough defense against bacteria and acids? Look no further than Tom’s of Maine. This toothpaste contains only natural ingredients, including real fruit to offer optimal dental care and a delicious taste your kids will love. Natural Dentist Toothpaste Child Sparkle Berry Blast. Does your child have braces? Try this all-natural toothpaste for children with orthodontics. Plaque and other bacteria can hide in hard to reach places when kids have retainers, braces, and similar oral appliances. 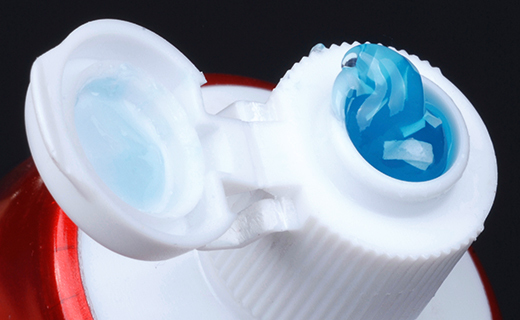 This toothpaste contains soothing ingredients such as aloe vera gel. Weleda Mint Children’s Toothpaste. Go organic with this completely natural toothpaste designed to promote healthy teeth and gums. This toothpaste is formulated for sensitive gums and comes highly recommended by family dentistry experts as a suitable “first” toothpaste for young children. Organic Mild Fennel Children’s Toothpaste. This toothpaste from Denmark is 100% organic. Formulated with essential oils, the toothpaste reduces bacteria and promotes cleaning in hard-to-reach areas. It’s a costlier product, but when you find a toothpaste your child loves, it’s worth every penny. It’s never too early to begin teaching your kids about the importance of good dental care. Finding a toothpaste that ideally suits their health needs can set them up for a lifetime of healthy dental care habits. To get the dental care you deserve from an affordable dentist in Atlanta, call today at ormake an appointment. Dental One Associates offers affordable family dentistry and gentle, compassionate dental care in Atlanta. With 8 affiliated practices throughout Georgia, our offices are conveniently located with extended hours to meet your needs. At , we provide most dental services, from basic preventative care and general dentistry to specialized procedures and complete dental reconstruction. We accept most dental insurance plans and offer affordable financial solutions for any budget. Patient satisfaction is our top priority and we strive to provide the exceptional, affordable dental care and personal touch that lead to lasting relationships. A smiling patient is our greatest reward and we look forward to keeping those smiles healthy, beautiful, and bright. Discover an affordable dentist who truly cares at .